Ask any dermatologist and they’ll tell you cleansing is a crucial part of any skincare regimen. A clean face is the canvas on which all your other creams, serums, toners and lotions can be placed. After all, you want all those expensive potions to do their best work, but they can’t when your face is covered in excess oil and grime — they simply won’t absorb well. A good, thorough cleansing can make skin feel luminous and help it breathe, removing the day’s accumulation of grease and dirt. Cleansing also removes product residue, dead skin cells, SPF, bacteria, excess sebum and the dirt that has settled on your face throughout the day. That’s a lot of stuff you certainly don’t want to seep into your pores and clog them up. Proper cleansing can help treat blemishes and comedones (clogged pores), and even give the skin a boost of hydration and anti-aging benefits. Some cleansers these days are sophisticated enough to treat a variety of skin concerns. 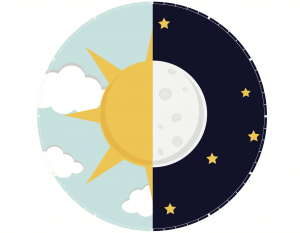 Most dermatologists recommend washing both in the morning and before you go to sleep. Washing before you go to bed makes perfect sense. A full day can take quite a toll on your skin, and if you wear makeup, you’ll want to remove every stitch to make sure your skin can breathe again. Washing at night also allows your skin to recuperate after a day of absorbing pollutants and other irritants. 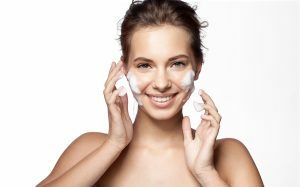 Our skin also repairs itself at night as blood flow increases (in fact, this is one of the reasons anti-aging products and moisturizers absorb better at night), thus why cleansing can help keep it healthy and looking its best. Washing in the morning is also important because overnight sebum is still accumulating on your skin as are dead skin cells. Washing once you wake allows you to start the morning with a clean slate, and if you put on a daily moisturizer or other products, a clean face will help the ingredients in these products absorb to the fullest. In this list, you will often encounter ingredients like allantoin, hyaluronic acid, glycolic acid and aloe. Allantoin is included in a number of skincare products because it is hydrating and soothing, helping to moisturize and calm in equal measure. Hyaluronic acid is a humectant like glycerin (also a popular ingredient) that helps skin to retain water and stay nicely plump and soft. Glycolic acid is a very good exfoliator that helps skin shed dead skin cells that can cluster and clog up pores or dull a complexion. Aloe helps soothe irritation while also providing moisture and anti-aging benefits. Of course cleansing will not serve much of a purpose if you haven’t chosen the right facial cleanser for your needs. Know your skin type and pick accordingly. 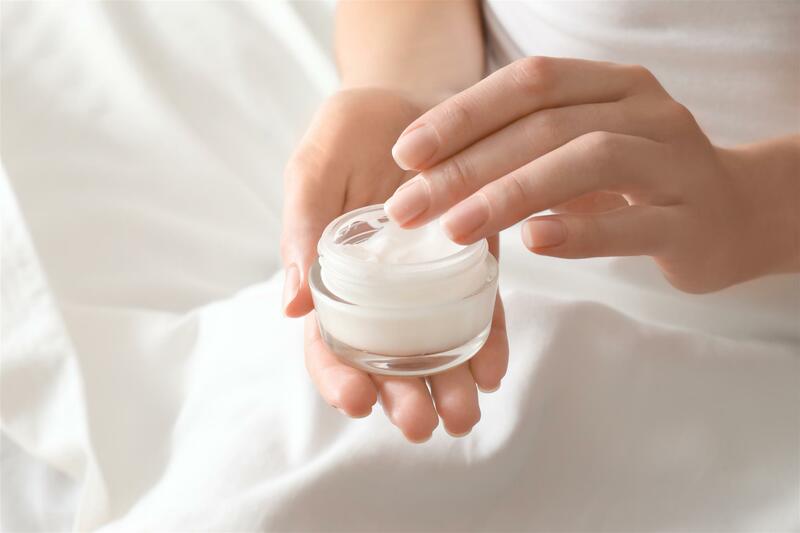 Dry skin can benefit from cream cleansers that are gentle and hydrating and don’t have too much alcohol. Sensitive skin types should avoid cleansers with too much fragrance. Oily skin types can turn to foaming cleansers that will adequately get rid of too much sebum. Combination skin needs a moisturizing cleanser that will nonetheless also remove oil from the T-zone. Gentle cleansers are particularly good at removing oil and dirt without stripping the skin of the natural oils necessary to keep it hydrated and soft. Look for gentle formulations if you have sensitive, dry or combination skin. If you sweat a lot from working out, you might want to look into an exfoliating cleanser that will help unclog pores. A word on oil-based cleansers: Don’t panic if you have oily or acne-prone skin, you can still use oil-based cleansers. Oil-based cleansers attach to the oil onto your skin and remove it when you rinse it off with water — like attracts like, after all. Oil-based cleansers also won’t strip your skin of its natural oils. When cleansers are too abrasive, they strip away natural oils and leave skin more prone to dryness. Oil-based cleansers are also great at removing very stubborn makeup. Take a look below at some of our choices for the best face washes and facial cleansers — you’ll surely find something that’s just right for you! Estee Lauder’s Perfectly Clean cleanser is also a purifying mask — a true multitasking wonder. It works itself into a rich foaming lather immediately and feels soft and calming against skin. To use this as a purifying mask, massage it onto dry skin and leave it on for three minutes before rinsing off. Among its nourishing ingredients are lady’s thistle, gentian root extract, algae extract and sodium hyaluronate. Lady’s thistle is an antioxidant that also soothes as it works to fight free radical damage. Free radicals can be a result of everyday pollution that we don’t realize is having an adverse effect on our skin. Free radicals can also speed up aging. Cleansers with antioxidants help to reverse this damage. Gentian root extract is also a skin-soother and antioxidant. It helps to cleanse while also keeping skin soft. Algae extract moisturizes and helps fortify the skin barrier. The skin barrier is basically a wall of lipids and skin cells that protects from outside irritants. A breached barrier can result in redness, itching and flakiness. You won’t have to worry about excessive dryness with this cleanser, as it also contains sodium hyaluronate, the salt of hyaluronic acid. Great at retaining water, this ingredient will ensure skin stays supple as it gets clean. This is a very gentle cleanser that is appropriate for all skin types. It won’t overdry or remove too much of the skin’s natural oils. This formulation contains squalane, apricot kernel oil and vitamin E as its main ingredients. All of these are highly moisturizing. Squalane is a lipid derived from olives. It helps moisturize and keep skin soft. Squalane is also non-comedogenic and can help curb oil production, making it ideal for oily or combination skin types. Apricot kernel oil helps to nourish and hydrate skin. It is an emollient that soothes and softens for a supple feel and look. The vitamin E in this cleanser also softens while using its antioxidant powers to fight off free radicals. With squalane and vitamin E working together, you could say this cleanser has anti-aging benefits as well. This delightfully frothy face wash is ideal for combination skin, as it helps to balance out the dry (cheeks) and oily (T-zone) areas of the face. Infused with broad leaf kelp extract, wheat protein and tourmaline, it controls oil production but also keeps skin hydrated. Tourmaline cleanses, broad leaf kelp extract reduces excess sebum while wheat protein moisturizes to counterbalance this reduction. Skin never becomes overly dry or develops that uncomfortable tight feeling. It’s also left feeling refreshed and balanced. This lotion is very rich and smells like spearmint, bergamot and lavender thanks to those essential oil notes. The Eve Lom Cleanser is actually a balm that can also be used as a very effective makeup remover. It contains a variety of oils that cleanse, tone and soften. Clove oil has antiseptic properties, which can help it reduce bacteria on the surface of skin, leaving it perfectly clean and free of blemishes. Eucalyptus oil helps remove toxins. Hops oil tones to remove any and all remaining oil, dirt and grime and restore pH balance. Egyptian chamomile oil hydrates to soften and soothe for a very smooth overall look. Finally, cocoa butter conditions and moisturizes even further to fully soften and keep skin from becoming excessively dry. This cleanser is great for all skin types, but might be especially good for dry and sensitive types. This is a very gentle cleanser that can also serve as an effective makeup remover, even on stubborn makeup like mascara. 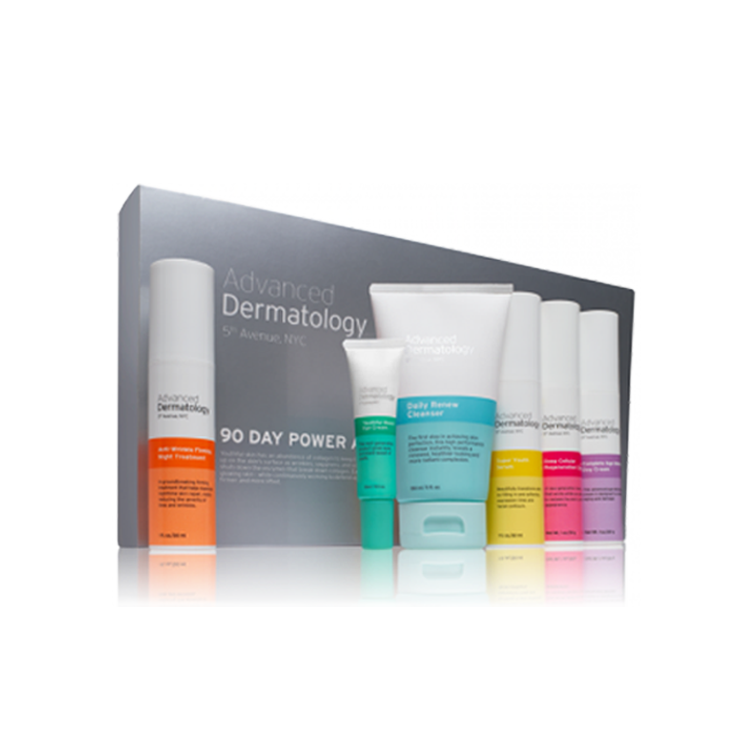 Active ingredients include soy proteins, rosewater, cucumber extract and borage seed oil. Soy proteins condition both hair and skin. It can restore softness and improve elasticity as well as smooth out wrinkles and rough texture. Rosewater is very soothing, acting as a toner that can hydrate while also calming and cooling irritated skin and reducing blemishes. Cucumber extract is also soothing with noted skin lightening effects. It calms angry skin that may have been irritated, helping to reduce redness. Borage seed oil nourishes, hydrates and conditions for a truly soft and supple feel. Purity’s Made Simple Facial Cleanser offers a 3-in-1 solution as it cleanses, tones and hydrates, eliminating the need for three products — if you’re not in the mood for a full-on skincare routine, that is. It fully eliminates makeup as well. The truth is, sometimes you don’t want to cleanse, tone and moisturize separately, and this product can help you do all three at once. Meadowfoam seed oil is one of the main ingredients in this formulation. It is an antioxidant that nonetheless also nourishes and hydrates phenomenally. It helps lock in moisture to keep skin as supple as possible. Rosewood oil, another active ingredient, has an abundance of uses. It can help control excess oil production and treat blemishes. It can treat cuts, dermatitis and inflammation, while also conditioning skin and improving the appearance of wrinkles. Overall, not a bad oil to have in a skincare product, and that’s an understatement. Sandalwood oil is especially great for chapped and dry skin conditions, as well as excessively oily conditions. It is a great balancing oil that would benefit combination skin. Taking the day off sounds awfully refreshing, doesn’t it? After a full day of working and toiling, it is so wonderful to be able to remove all the dirt, grime and accumulated oil off your face — not to mention to strip away all vestiges of makeup. This is also a balm that transforms into an oil upon application. It is technically a makeup remover that nonetheless works as a cleanser as well. You apply it to dry skin in circular motions and rinse off with warm water. It has a rather short ingredient list with safflower oil near the top. Safflower oil contains linolenic acid. This is a fatty acid that is essentially a skin-conditioning agent that also protects and improves skin barrier function. The skin barrier is a combination of lipids and flattened skin cells that keeps pollution, irritants and other unfriendlies out. Your skin barrier may be compromised if you’re experiencing redness, peeling or flakiness, or itching. Despite containing oil, this formula is non-greasy, won’t clog pores and won’t dry out skin. This is a non-foaming cleanser that works for all skin types but may be especially great for oily skin, as it removes excess oil and reduces shine. It contains fruit enzymes and alpha hydroxy acids to not only cleanse but also exfoliate to remove dead skin cells. This can help exceptionally for those who are acne-prone or have rough texture and dullness. Papaya and grapefruit extract are the main ingredients in this formulation. They naturally contain alpha hydroxy acids (glycolic, lactic and citric). 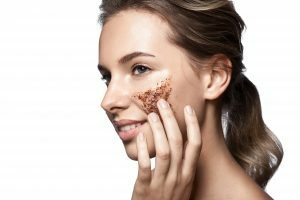 These acids help renew and rejuvenate by removing the “glue” that holds skin cells together and makes them cluster and sometimes even form into comedones (blackheads). However, this won’t cause skin to flake like some stronger peels, instead it will give you a lovely and fresh glow. And isn’t that what we all want from a cleanser? This is a great cleanser for oily skin prone to breakouts. It cleanses and helps reduce blemishes without overdrying, a common concern with many cleansers that promise to treat pimples. Key ingredients include bromelain and apple amino acids. Bromelain is an enzyme found in pineapples that is an anti-inflammatory. As pimples are a result of inflammation, this explains why this cleanser is so good at treating them. This is also what causes the cleanser to foam. Bromelain is even used in medical settings to decrease inflammation after injury or surgery. Apple amino acids are also foaming agents, but they also hydrate and condition skin to keep it from overdrying or becoming unbearably taut. If you have oily skin, definitely give this cleanser a try. If you’re looking for a solution to dryness and redness, this cleanser is a sure bet. Key ingredients include aloe, allantoin and glycerin, with an antioxidant boost courtesy of feverfew, licorice root and white tea extracts. Aloe has many benefits, among them the ability to calm redness and inflammation — you may have used it on sunburns in the past. It is full of vitamins A, C and E, which are antioxidants. It is also wound-healing and a great moisturizer to boot. Allantoin is a chemical compound derived from the comfrey plant. It also, like aloe, exhibits calming and moisturizing properties. Glycerin is a humectant commonly found in a variety of skincare products. It helps the skin retain water and keeps it soft and fresh. Feverfew, licorice root and white tea extracts are in this formula for their antioxidant properties. Antioxidants neutralize free radicals, giving this cleanser an anti-aging component that is sure to satisfy users. We all want a bit of anti-aging power in our products, don’t we? Licorice root is also a whitening agent that can treat acne scars and other discoloration, helping to even out skin tone. This cleanser will leave skin feeling relaxed, smooth and hydrated with a little something extra to keep it healthy. This luxurious cleanser feels like heaven on the skin. Thanks to sodium hyaluronate, it keeps skin extremely soft and richly hydrates for a supple complexion. Sodium hyaluronate is the salt of hyaluronic acid. Like hyaluronic acid, it is able to retain 1,000 times its weight in water. This means it can lock in moisture in the skin to give it a plump and beautiful effect. It can also plump up fine lines and wrinkles to make them less noticeable. This cleanser can also potentially lighten and brighten skin, as it contains sophora angustifolia root extract, which has shown the ability to reduce melanin transfer as effectively as other melanin-inhibiting ingredients like hydroquinone and niacinamide. If you have acne scars, melasma or other discoloration, regular use of this cleanser may be able to give you a more even tone. For a truly thorough clean, try Amorepacific’s Treatment Enzyme Peel. This product delves deep into pores to exfoliate and dissolve dead skin cells that can cause dullness and uneven texture. Key ingredients include papaya extract, green tea leaf extract, ginger root extract and allantoin. Papaya extract contains alpha hydroxy acids, which are the exfoliators in this cleanser that can unbind dead skin cells and slough them away to reveal clearer skin. Green tea leaf extract contains polyphenols, which are free radical scavengers. They not only neutralize free radicals, but also improve moisture content of skin and reduce roughness. Ginger root extract is an antioxidant that also works against free radicals. It can soothe inflammation as well. Allantoin is a skin soothing ingredient that hydrates for a deliciously smooth feel. Nothing is quite as luxurious as La Mer, and this cleansing foam is right in line with the company’s other fabulous products. This cleanser of course contains the trademarked Miracle Broth as one of its main ingredients. Miracle Broth ingredients include sea kelp, copper, calcium, magnesium, potassium, lecithin, iron, vitamins C, E, and B12, and citrus, eucalyptus, wheat germ, alfalfa and sunflower oils. A three-month fermentation technique is used to get all of these ingredients to unlock their magic powers, we assume. Unfortunately, we’re not privy to exactly how the fermentation technique works, but the proof is in the pudding, as La Mer products continue to be among the best-selling products in the world. Although several types of seaweed go into this “broth,” the company claims Macrosys pyrifera is of the best quality. Seaweed, or marine algal compounds, in general has shown many skin improving benefits. There is evidence that it can both prevent collagen degradation and even out skin tone. It also has anti-inflammatory action that can prevent inflammation and soothe skin overall. Other ingredients besides the Miracle Broth that can provide moisturizing and soothing effects are aloe leaf water and sodium hyaluronate. If you prefer balms to foaming cleansers, consider trying BeautyCounter’s Cleansing Balm. You use it by massaging a nickel-sized amount onto dry skin then wiping it off with a damp muslin cloth (included with the balm), and rinsing your face. This can also be used as an overnight mask. This balm hydrates skin thanks to raspberry and cranberry seed oils, while lightening with vitamin C. Vitamin C inhibits tyrosinase, an enzyme that stimulates melanin production. It can help remove dark spots and even out skin tone for an overall brighter complexion. Other superbly hydrating ingredients include apricot kernel oil, sweet almond oil, jojoba oil, shea butter and avocado oil. These oils soothe and moisturize to leave skin feeling soft and pure. Vitamin E, on the other hand, contains a bit of anti-aging appeal thanks to its strong free radical scavenging abilities. Avene’s XeraCalm Cleansing Oil is exactly what inflamed, itchy skin needs. This cleanser is specially formulated to treat those suffering from eczema or atopic dermatitis. It contains patented I-Modulia, a complex derived from Avene thermal spring water to soothe itching and irritation, and cer-omega, derived from evening primrose, to hydrate and restore the skin barrier. The skin barrier is essentially what keeps skin protected, but it can be damaged, and when damaged, it usually results in flakiness, itching and redness — symptoms often associated with eczema and atopic dermatitis. This cleanser also contains aquaphilus dolomiae extract, which has been shown in studies to have an anti-inflammatory effect. Evening primrose oil, another ingredient, has been shown to improve hydration and transepidermal water loss (TEWL). TEWL refers to the loss of moisture through the epidermis. It can aggravate inflammation and lead to even more dryness. A cult favorite, this cleansing oil removes dirt, oil, and makeup in one fell swoop. Like other cleansing oils, you first apply it to dry skin and massage onto your face in circular motions, then rinse off. The very first ingredient in this cleanser is olive oil. Phenolic compounds in olive oil serve as effective antioxidatr nts. Olive oil has also demonstrated wound healing and anti-inflammatory effects, with a possible positive effect on skin aging. Olive oil is mainly made up of oleic acid, which is a fatty acid that is deeply hydrating and non-comedogenic (won’t clog pores). It is also an antioxidant that can help combat wrinkles and other signs of aging. This formulation also contains vitamin E, another formidable antioxidant that reverses free radical damage. A third key ingredient, rosemary oil, has been shown to increase hydration and have a moderate effect on increasing skin elasticity. An exfoliating cleanser enables you to kill two birds with one stone. Mario Badescu’s Glycolic Foaming Cleanser cleanses as it exfoliates t o give you a smooth and bright complexion. Say goodbye to acne scars, discoloration, large pores and fine lines, as glycolic acid goes to work to refine and rejuvenate. Glycolic acid is an alpha hydroxy acid that helps shed old dead skin cells to reveal more youthful-looking skin. It’s great to use one or three times a week to target those signs of aging and other common skin problems. This formula also soothes with a blend of chamomile (an anti-inflammatory), marshmallow (also used for eczema and dermatitis), yarrow (an anti-inflammatory and astringent), St. John’s wort (an anti-inflammatory) and sage (an anti-inflammatory and astringent) extracts. Cerave is a drugstore brand that is affordable and effective. The Hydrating Cleanser is a non-foaming cleanser that gently removes dirt, oil and makeup, while also quenching thirsty, dry skin with hyaluronic acid and ceramides. Hyaluronic acid is a very popular ingredient in skincare products because it can retain a lot of water (1,000 times its weight), enabling it to deeply hydrate skin. Ceramides are lipid molecules present in the strateum cornum, or the skin barrier. Oftentimes, in skin disorders like atopic dermatitis and eczema, ceramides in the skin barrier are diminished. Replenishing them can potentially help treat these problems. In the case of this cleanser, ceramides provide hydration and ensure the skin barrier is kept strong and healthy. CeraVe’s Foaming Facial Cleanser thoroughly cleanses with its robust foaming action to remove surface oils without disrupting the skin barrier. This formula also contains ceramides and hyaluronic acid, and adds a third ingredient: niacinamide. Niacinamide, or vitamin B3, performs many duties. In studies, it has shown to be effective in treating discoloration, improving elasticity, reducing redness and reducing wrinkles. Another great drugstore brand, Cetaphil is claimed to be “gentle enough for a baby’s skin.” That certainly sounds promising! This formulation works for all skin types, including sensitive ones, thanks to a soap-free composition that won’t strip skin’s natural oils or overdry. This is a very gentle cleanser with a skin-conditioning agent called propylene glycol and a foaming agent called sodium lauryl sulfate. Though the ingredient list is sparse, together these two substances help to cleanse (with sodium lauryl sulfate) and moisturize (with propylene glycol). One thing going for this cleanser is the fact that it only has eight ingredients. This may account for its gentleness. If you don’t like too many ingredients in your cosmetics, this may be just the right cleanser for you. Like any good cleanser, SkinMedica’s best-selling facial cleanser removes dirt and oil while also being highly moisturizing. The two key ingredients in this cleanser are panthenol (a provitamin of vitamin B5) and camellia oleifera leaf extract. Panthenol is the ingredient that accounts for the superb moisturizing ability of this cleanser. In studies, it has shown a propensity for binding moisture to the skin to keep it hydrated for a long time. Camellia oleifera leaf extract, on the other hand, is an antioxidant that helps counter free radical damage. It is also an anti-inflammatory and astringent that can help calm and soothe while also dealing with excess oil production. This cleanser is designed for sensitive, dry or post-procedure skin. Post-procedure skin refers to skin that has undergone some type of treatment like chemical peels, microneedling, microdermabrasion or laser treatments. This is a cream cleanser that is non-foaming. It contains orange oil, allantoin and glycerin to soothe, combat oil and moisturize. Orange oil is an antiseptic that also calms irritated or red skin. Allantoin is also very soothing and very hydrating, and can be found in a number of cleansers. Glycerin is a humectant that helps lock in moisture to keep skin silky soft. With these three key ingredients, this cleanser can address issues like heightened sensitivity, aging and dehydration. The Daily Renew Cleanser is formulated with a variety of botanicals and humectants to help counter aging and dryness. Glycerin is the third ingredient on the list. A powerful humectant, it keeps skin adequately hydrated even as it is being depleted of excess oil by the cleansing process. The top plant extracts in this formula include rosa rubiginosis seed oil, eriobotrya japonica extract and chondrus crispus extract. Other plant botanicals include green tea leaf extract and chamomile extract, both antioxidants. Rosa rubiginosis seed oil contains vitamin A and vitamin C, making it a good exfoliator and skin brightener. It’s also an antioxidant (fighting free radicals) and diuretic (reducing puffiness). Eriobotrya japonica extract is used to firm up skin and reduce wrinkling while also providing moisturizing effects. Chondrus crispus extract is hydrating and water-binding, meaning it locks moisture into the skin to keep it soft and rejuvenated. The ideal cleanser should give skin a deep clean without stripping it of too much moisture, which means your face will be squeaky clean without feeling tight and dry. Formulyst’s Gentle Foaming Cleanser does exactly that. This ultra-gentle foaming cleanser whisks away dirt, sweat and makeup but won’t over dry the skin. Skin is left clean and feeling soft and supple thanks to nourishing rosehip seed oil as well as vitamins A, C and E.